On the home page of http://www.pastimeprojects.com there is a cartoon figure on the left side of the page depicting a man holding a newspaper. There is a caption TODAY’S NEWS. If you click on that spot, you are taken to a blog named R3tr0rad’s Blog. You are reading it. One way to get here is to do a Google search on R3tr0rad. What you will see is many many articles written over a period of time. There are, in fact, over 100 and still counting. There are all kinds of hints and tips in these blogs, as well as some news of what is going on with Pastime Projects. Quite often we refer to the Pastime Projects e-Newsletter. Between the blogs and the newsletters, we give a lot of down home old school thoughts and technical advice about ham radio. We do not print a catalogue, nor do we have a social page. Once in a great while we will put a video of our kits in operation on youtube. We have now written over 100 of these TODAY’S NEWS R3tr0rad’s blogs. If you read something interesting in the blogs or in the newsletter we publish, please feel free to share with others. This week we are selling a collection of Gonset equipment for restoration. It looks like 6 meter 50 MHz units. See photos on www.pastimeprojects.com special sales page. We talked to one buyer concerning new products. We learned he had never looked at the TODAYS NEWS button listed in the left column of the home page. The TODAYS NEWS button is our blog .. You are reading it right now .. and it contains lots of information including hints about our new products. The new e-newsletter is due out any day. Please contact us if you want a free copy via email to your home computer. Our tube type audio amplifier — Pastime Projects PP AA-1VT — is an interesting device for guitar players. 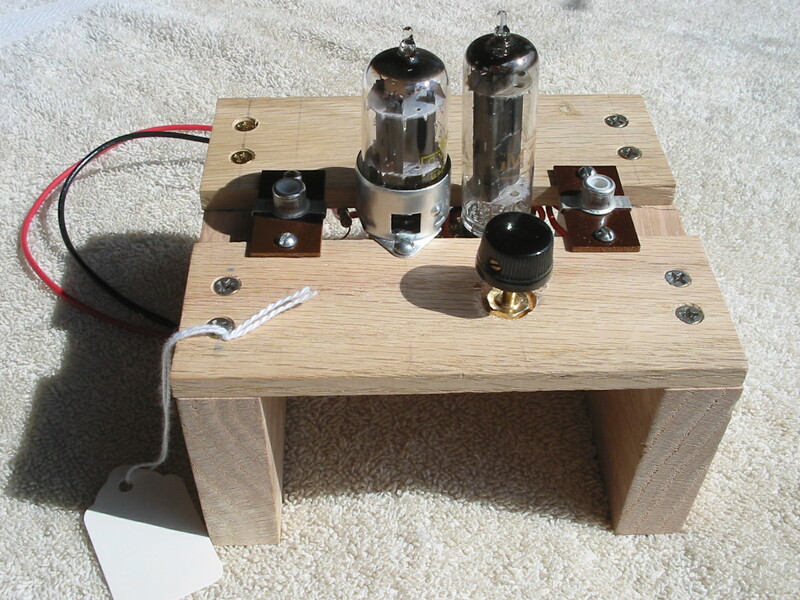 The very rare 12U7 tube, an obsolete space charge tube from the 1960’s automobile radio era, is the basis of a wonderful pre amp for guitar use. Look up 12U7 vacuum tube in Google. You will find it is very popular with guitar enthusiasts looking for that mellow sound that vacuum tubes leant to great music. The use of the 12U7 tube has been very popular and the tube is becoming scarce. I have seen asking prices for the tube alone higher that the kit price for our entire amplifier! We have a very limited number of kits remaining in stock.. Go to www.pastimeprojects.com look on the home page for the PP AA-1VT amplifier kit while the item remains. You are currently browsing the R3tr0rad's Blog blog archives for March, 2013.